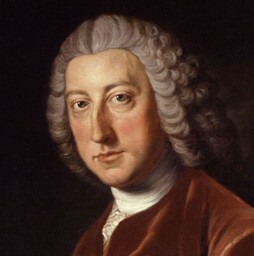 William Pitt (1708-1778) was a Whig parliamentarian and British prime minister between mid-1766 and late-1768. Pitt was born in London, to a family whose wealth was largely derived from colonial trade with India. He served for a time in the British military before entering parliament in 1735. A brilliant and brutally honest public speaker, Pitt spent the next decade criticising the government; this made him popular with the public but a thorn in the side of incumbent kings and ministers. Pitt’s real rise to prominence came during the Seven Years’ War when he took command of the failing war effort and secured a British victory. In 1765-66 he supported the rights of the American colonists, condemning the Stamp Act as poor policy. The colonial crisis saw the governments of Grenville and Rockingham fall, leading to Pitt’s elevation to the prime ministership in July 1766. But while Pitt had been effective as a wartime leader and a barnstorming critic of the government, he was much less successful as a prime minister; he left matters of policy to others such as Charles Townshend, the sponsor of the hated revenue measures of 1767. Pitt’s ineptitude and poor health led to his replacement in October 1768.